Darkest lily in the world Height: 36-48". Loves the sun. Very fragrant. Blooms in July and August. Great cut flower. Hardy in zones 3-9. Immediate Shipping. 14-16 cm bulbs. 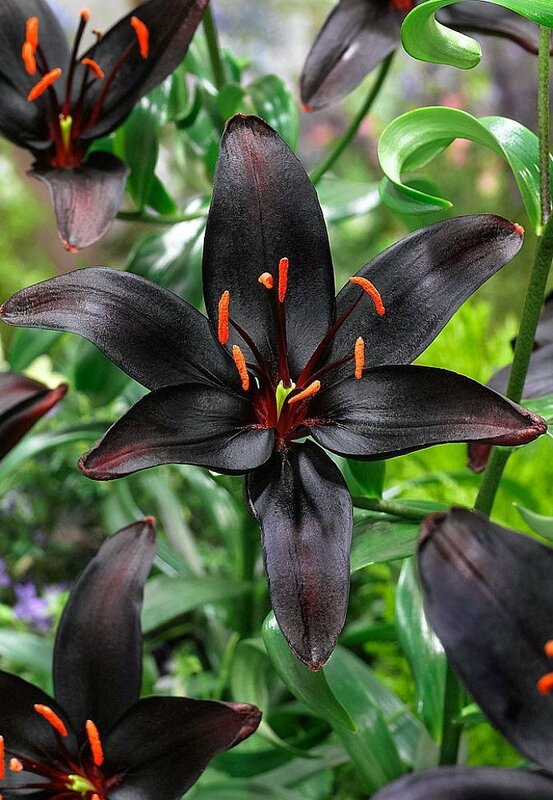 Deep, dark colored flowers always add a dramatic look to your displays and this is a stunner – the darkest lily there is! Lilies are fabulous flowers to enjoy in the garden and also to cut and display indoors in vases. This will be in flower from July through the September and the foliage of the plants is attractive too. Easy to grow, you can show this off in your borders or in containers on the patio for a superb show.